Gaming fans looking for some serious mobile fragging inevitably end up having to cart around hefty, ten-ton laptops, offering a horribly brief battery life – but all that looks to change with Acer’s new machine. The name may be a mouthful – Acer Aspire Timeline Ultra M3-581TG – but this ultrabook is a slim, lean’n’mean gaming machine, offering dedicated GeForce graphics and a decent battery life. Sporting a 15.6-inch screen, the machine is powered by an Intel Core i7-2637M ULV processor, with up to 6GB of RAM on offer and storage space coming in the shape of a 500GB hybrid hard drive or 256GB SSD. Inside lurks Nvidia’s first Kepler GPU which,m according to the folks at Nvidia – will let gamers play Battlefield 3 on ultra settings at the laptop’s native 1366 x 768 resolution. And if you think that’s impressive, things get better with the battery life, which is pegged at a very healthy eight hours in regular use, thanks to Nvidia’s Optimus graphics switching solution. 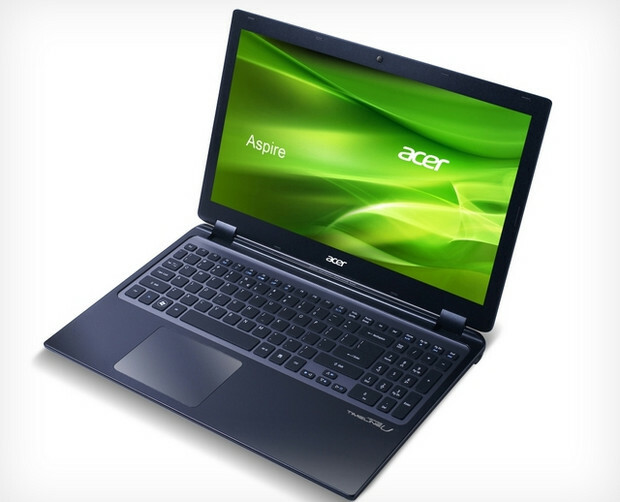 Acer have even managed to wedge in an optical drive into the 20mm thin chassis, backed by plentiful full size ports making this sub 5-pound beastie a very capable machine indeed. It’s expected to go on sale next month, although the all important pricing is yet to be mentioned.